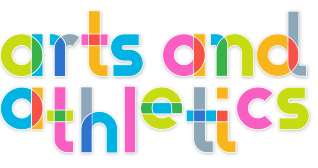 Some programs can’t be categorized as arts or athletics and yet are among the best examples of Arts and Athletics afterschool sensibility. These classes may include cooking, creative business or board games galore. A hands-on/minds-on cooking class where young chefs will learn to follow a recipe, measure carefully, and enjoy tasting new foods and flavors. Each class will include a children’s story that has food as a central ingredient. Students will have fun learning about advertising. They will create their own product or service and package it their own way! What sinks and what floats? What makes a ball bounce? What is the stuff around us made of? Do you want to power up your brain? Come on Down! …and join Ms. Chiarelli’s Game Show Group! This is a great opportunity to challenge yourself while engaging with friends! In this class, students will work with various tools such as blocks, connectors, and building sets! And, for those who like to draw, they will have the opportunity to illustrate prototypes of what they would like their creation to look like.